Called a "monster storm" by meteorologists, the most intense weather event of 2010 has hit the Philippines. Stronger than Katrina, the storm has recorded winds of 178 mph with gusts up to 217 mph. The winds are expected to decrease (relatively) to 140 mph as it makes landfall. 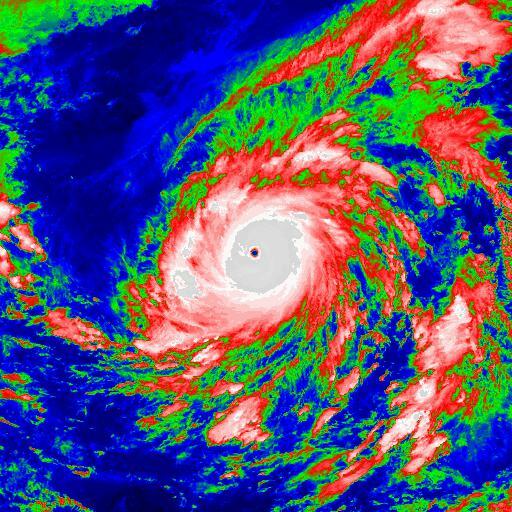 (CNN) -- Super Typhoon Megi has made landfall in the northern Philippines, the national weather agency said Monday. Megi, also known as Typhoon Juan, made landfall near Sierra Madre on Luzon island, according to the Philippine Atmospheric, Geophysical & Astronomical Services Administration (PAGASA). It has maximum sustained winds of about 225 kph (140 kph) and gusts of up to 260 kph (162 mph).